Anonymous has launched a two-fold attack on Donald Trump’s presidency by releasing what it claims are phone numbers of White House staff and calling for a Boycott, Divestments and Sanctions campaign against the US. An Anonymous group released the phone numbers on a web page named, the ‘White House Comment Line’. “Open communication is the cornerstone of a good democracy,” a message on the page reads. Anonymous has also launched a call to action against Donald Trump’s presidency asking for the establishment of travel bans against US citizens and urging people to boycott US products. The hacktivist group is also extending the call to rejecting Trump-related business interests and placing sanctions on the "Trump regime"and all of its associates. 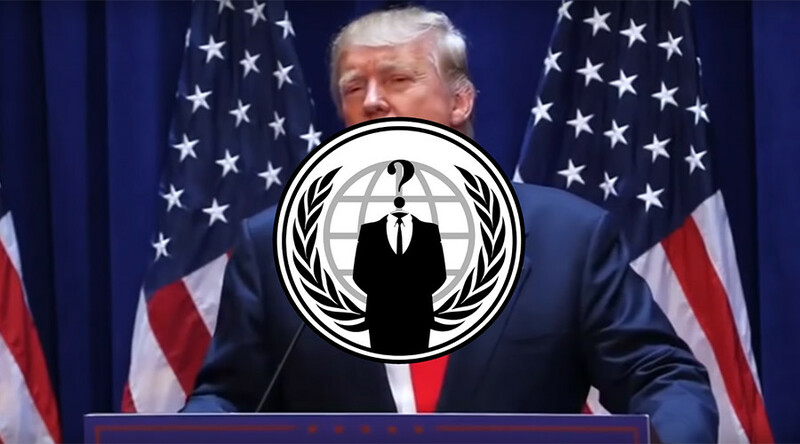 #Anonymous call to action against #Trump regime: #BDStheUS. The group posted a video on YouTube announcing their open call to ‘#BDStheUS’, saying Trump has shown no regard for international law, human rights or common decency. “As citizens of the world we must unite against tyranny wherever it emerges and challenge it,” the message states. The hackers are calling on the global community from all backgrounds and ideologies to join in an international ‘Boycott, Divestments and Sanctions’ campaign against the US until the "Trump regime" is brought to justice. "Go get him #Anonymous" "Step up!" "Save us please!" No, you go get him. It's your duty as adults. We gave you the resources, use them.